Reports surfaced Tuesday that the Marlins were frontrunners to land catcher Jarrod Saltalamacchia, and a short while later the two parties finalized a three-year deal worth $21 million. The Marlins were not expected to be major players on the free agent market this offseason, so this very well may be the team’s biggest move until the season begins. Miami has been without a solid catcher for the past several seasons, and Jeff Mathis should remain in Miami as a backup. In a three-way deal between the Diamondbacks, Reds, and Rays, former-Marlin reliever Heath Bell and catcher Ryan Hannigan are off to Tampa, while Cincinnati and Arizona will receive pitchers David Holmberg and Justin Choate respectively. 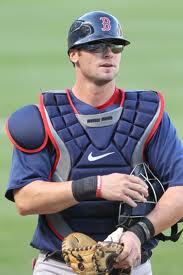 Arizona also sent cash to the Rays to help offset Bell’s contract. Bell was traded to the D’backs from Miami last offseason after a horrific 2012 with the Marlins. Rounding out an action-packed Tuesday in baseball, the Astros and Rockies finalized a trade that will send speedster Dexter Fowler and a player to be named later to Houston for pitcher Jordan Lyles and outfielder Brandon Barnes. Fowler hit .263 last season and .300 the year prior. He served as Colorado’s primary center fielder and leadoff hitter over the past several seasons. In the same role, he should serve to jumpsart Houston’s offense who ranked next-to-last in the AL last season in batting average (.240) and runs (610). In more news, Curtis Granderson met with the Mets and enjoyed some salmon, AJ Pierzynski signed with the Red Sox, and the Athletics traded for reliever Luke Gregerson, sending outfielder Seth Smith to the Padres in exchange. The A’s also acquired Jim Johnson and Craig Gentry this week in trades with the Orioles and Rangers respectively.